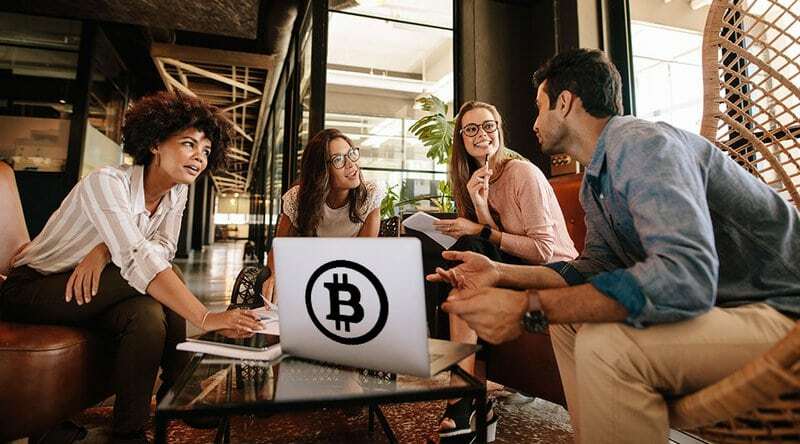 We live in an age of disruption fueled by millennials, the blockchain, and cryptocurrency. The relationship between millennials and technology is easy to understand. They are the first generation to grow up with computers. As a result, they have become accustomed to working in virtual teams and are used to today’s fast-paced life. From the internet to emails and everything in-between, there’s not a thing that they do not understand about technological innovations. They have often led older generations in the adoption and use of new technology. They are reshaping business models and still lead the way in digital future. In many ways, it appears that they have all it takes to mold the future. Cryptocurrency is another issue that industry leaders continue to follow with a great deal of interest in the immediate future. Just like the millennials, digital currencies have the potential to change the world by ushering in a new financial order. There are lots of reasons to be optimistic about the future of cryptocurrencies and how they may change our world, especially traditional finance, as we know it. Why Are Millennials and Cryptocurrency the Future? Millennials are a different breed. They view the world differently and possess the right tools to bring about change: knowledge and technology. On top of that, they are the biggest generation ever born and constitute the largest generation in the US labor force. Besides, older millennials are entering their peak spending years. And, because we live in a market that panders to those with means and resources, millennials are expected to cause significant shifts in the marketplace, as businesses look to develop products and practices that cater to their preferences, trends, and buying habits. What’s more, millennials know technology, applications, social media, and market trends. Growing in an information age also enables them to understand the issues and needs around them and create solutions to such problems. For so long as their size and spending power matter, millennials will continue to rule the market and dictate trends. The impacts of cryptocurrencies on future transactions is also clear as day, as they appear to be nudging us in a new direction where people might not require traditional financial organizations such as banks and payment companies. Every day, millions of people around the world use the internet to conduct financial transactions. However, privacy and security concerns deter some consumers from making purchases online. Cryptocurrency is expected to change all of that by enabling shoppers to conduct secure, peer-to-peer cryptocurrency transactions. The secure nature of cryptocurrency transactions will help inspire trust and make people more willing to transact online. When this happens, the mass public will become more willing to adopt cryptocurrency. Such increased adoption of digital currencies could lead to a fall in demand for fiat currency. This, coupled with the emergence of Generation Y, which seeks convenience and is adept at technology, could see peer-to-peer electronic payment replace traditional payment systems as the standard. Further, the potential increase in digitization makes it even harder to imagine a future without digital currencies. Despite holding so much promise, cryptos still have a long way to go before they are more widely accepted as a standard means of payment. This is because prices of cryptocurrencies change so much that it becomes hard for the mass public to use them as a trusted medium of exchange. As with any currency, cryptos need to be stable before they are widely adopted for everyday transactions. Nevertheless, it is hoped that with advances in technology and behavioral changes, digital currencies will become stable enough to be used as means of payment.